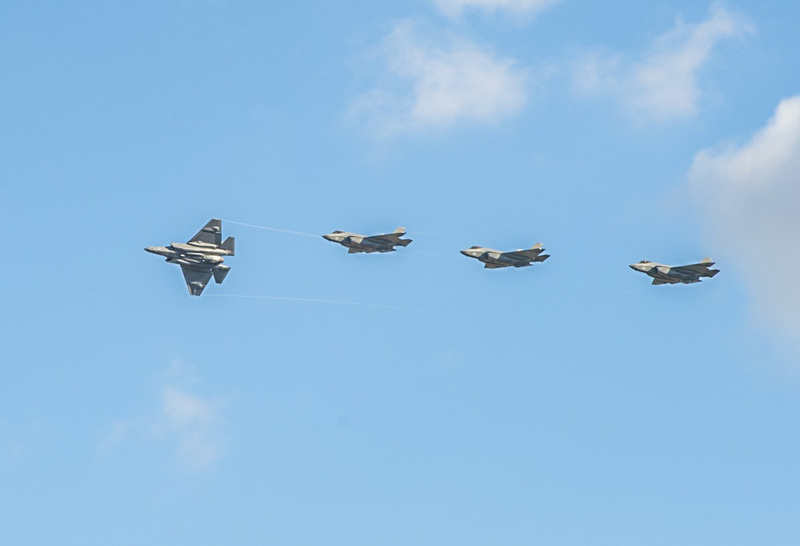 While the Navy’s two Joint Strike Fighter training squadrons tested their sea legs in the Atlantic in March, the future of the Navy’s operations was getting underway in earnest at Naval Air Station, Lemoore, California. The Argonauts of Strike Fighter Squadron 147 technically began the transition to the F-35 in December after landing back at Lemoore following a six-month deployment aboard the carrier Nimitz as part of Carrier Air Wing 11. “That was the final time they flew in the Super Hornet and their maintainers and pilots have now been training, both down at Eglin Air Force Base, as well as in Lemoore with the [Replacement Squadron], VFA-125,” said Cmdr. Ron Flanders, spokesman for Naval Air Forces in San Diego. The Navy’s transition to the F-35C Lightning II — coupled with the U.S. military’s shift to the Pacific — is helping to turn this somewhat remote air station into the largest strike fighter hub in the Navy. Navy officials are targeting October as a ready date for VFA-147, which will be receiving aircraft from the Roughriders of VFA-125, as well from the factory. It’s a major step in the Navy’s journey to get the Joint Strike Fighter into carrier air wings, currently slated to happen in February 2019. The next step for the Argonauts will be to start more intensive flying as they begin their integration into a carrier air wing, a process that will include preparation for deployment on the aircraft carrier Carl Vinson in 2021. What remains unclear, though, is who will come after VFA-147 in the transition to the F-35C. The Navy has not yet clarified how that continued transition will unfold. But what is clear is that the Navy has an ambitious plan for the Joint Strike Fighter, with a goal of fielding 20 operational JSF squadrons by the early 2030s. Executing that plan will most likely be the responsibility of a new joint strike fighter wing — based in Lemoore — that will debut in the near future. 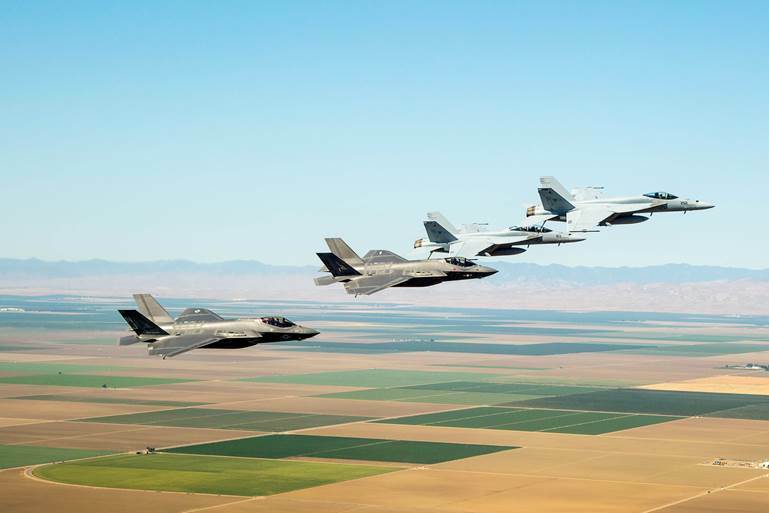 That command’s mission will be to focus on building the Navy’s JSF capabilities and managing the transition of the squadrons that will be switching to the Navy’s newest fighter jet.